Fascia plays a very important role in the overall well-being of your home’s roof. But unless you’ve experienced a problem with your roof in the past, there’s a pretty good chance that you don’t actually know what fascia boards are or what purpose they serve when it comes to your roof. It’s important for homeowners to learn more about fascia boards and what they do so that they can identify any early signs of issues and avoid the problems that can come from faulty, rotten or failing fascia. Fascia boards are located below the edge of your roof, and they run along the entirety of your roofline. These are the front-facing boards that give your roof a finished look and to make your roofline aesthetic clean and even. Many homeowners even paint their fascia boards to match the color schemes of the rest of their houses or roofs, providing a more complete look to the home. But this is far from the only reason for fascia to be installed in the first place. 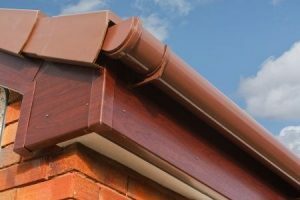 In addition to making homes look great, fascia boards are also used to offer support for a home’s gutters and drainage. Without fascia, the gutters and drain pipes wouldn’t have a place to attach to. These boards also seal the edges of the roof frame work, preventing strong winds from driving snow or rain into the substructure. They also prevent birds, squirrels or other animals and insects from gaining entry, keeping your roof area moisture and pest free. Fascia boards can be damaged as a result of inclement weather, downed trees and more. They can also weather and wear, leading to rotting or weakened boards, which can make supporting gutters impossible. We offer fascia board replacement and other roofing repairs and new roof installation. We would be happy to give your roof a look and make any necessary repairs. If you suspect that your fascia has been compromised, reach out to Roofing by Bruce at 570-424-7250 today to find out about our fascia repair services.